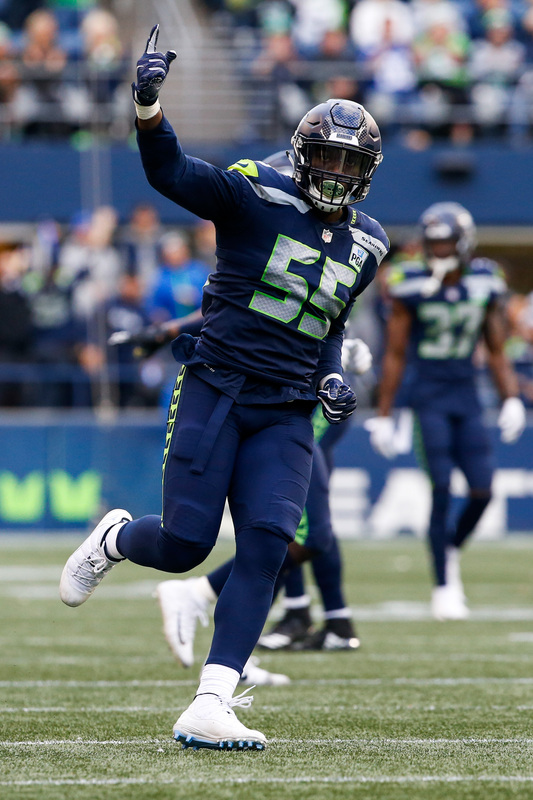 It’s been well over a month since we heard that the Seahawks and defensive end Frank Clark were making progress in negotiating a long-term contract. Seattle put the franchise tag on Clark shortly thereafter, which gives the two sides until July 15 to work out a multi-year pact, and Clark said he would not report to training camp without a new deal in place. DeMarcus Lawrence signed a five-year deal worth over $100MM with the Cowboys last week, and that appeared to provide a benchmark for talks between Seattle and Clark. But still, no news as of yet. Jay Glazer of The Athletic (subscription required) writes that several teams were interested in trading for Clark at the outset of free agency, but he notes that there has been no trade chatter since then. Glazer adds that the Seahawks love Clark, and that unless the team is overwhelmed by a trade offer, Clark will remain with Seattle. Given Clark’s stance with respect to the franchise tag, it sounds as if he will be getting his big-money, long-term deal before July 15. Clark, a 2015 second-round pick, has been a fixture in the team’s front seven since the 2016 campaign. In the last three years, he ranks seventh among NFL defensive linemen in sacks (32) and 10th in quarterbacks hits (66). Last season, Pro Football Focus graded Clark as the league’s No. 18 edge defender. Once the April 15 “deadline” for a new contract with quarterback Russell Wilson passes, perhaps the Seahawks will shift their focus back to Clark. Seahawks defensive end Frank Clark has no intention of signing his franchise tag or reporting to training camp unless he receives an extension, according to Ian Rapoport of NFL.com (Twitter link). Clark was one of five pass-rushers to receive the franchise tender last week, but he may have been the closest of the group to reaching a long-term agreement. Reports just before the tag deadline indicated Seattle was progressing on a new deal with Clark, so there may be some momentum in discussions. The Seahawks have until July 15 to work out a extension with Clark — if they don’t, he’ll be forced to play out the 2019 campaign under the franchise tender. A former second-round pick, Clark will collect $17.128MM for the 2019 season, a total which will become fully guaranteed once he signs his tag. While that’s a hefty total for a single season, it doesn’t represent Clark’s true value on the open market, or what he’s likely searching for via an extension. While he’s probably not going to exceed Khalil Mack‘s $23.5MM annual average, Clark could feel secure in targeting a $20MM+ yearly salary on a long-term pact. Clark, 25, has been a wrecking ball over the past three seasons, ranking seventh among NFL defensive linemen in sacks (32) and 10th in quarterbacks hits (66) during that time. Last year, Pro Football Focus graded Clark as the league’s No. 18 edge defender. Teams are settling their franchise tag business on Monday. The Seahawks are the latest team to do so, with Albert Breer of SI.com reporting (via Twitter) the team has made the decision to apply the tag to Frank Clark. Decisions for Clark’s and DeMarcus Lawrence‘s tags have come within the past hour, and the Texans franchised Jadeveon Clowney earlier today. The Chiefs and Buccaneers are using their tags on Dee Ford and Donovan Smith, respectively. Teams have until 3pm CT Tuesday to use their franchise tags. Like the other moves, Seattle’s Clark decision was expected. Pete Carroll confirmed at the Combine the 25-year-old defensive end would be a Seahawk in 2019. The sides are already progressing on talks, and this deal may be one that gets done before the July 15 deadline. The Michael Bennett/Cliff Avril sidekick had consistently shown he had higher-end pass-rushing abilities off the bench, and in his first full season as a starter, Clark broke out for 13 sacks — more than Bennett or Avril recorded in a season during their Seattle stays. Clark has 35 career sacks, combining for 19 between the 2016 and ’17 seasons. Although the Seahawks let numerous Super Bowls-era bastions go last year, Clark appears part of the organization’s long-term plans. Clark has not resisted the tag and appears likely to sign his tender and attend offseason workouts. Tagging Clark will cost the Seahawks $17.128MM, which will be deducted from the team’s $49.8MM in cap space. 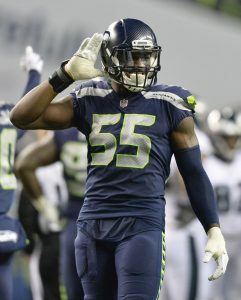 The Seahawks started talking contract with star defensive end and free agent-to-be Frank Clark last month, and Bob Condotta of the Seattle Times says the Seahawks will not let Clark get away. If the two sides cannot work out a long-term deal in the next couple of weeks, Seattle will put the franchise tag — valued at roughly $18MM for defensive ends — on the 25-year-old. That will at least buy them until July to come to terms on a multiyear pact, which could have a total value of up to $90MM. Clark, though, appears perfectly willing to play out the 2019 campaign on the one-year franchise tender, which would make him eligible for free agency again next year. It does not appear that the Eagles will re-sign Golden Tate before free agency opens next month, Josh Alper of Pro Football Talk opines. Alper does not cite a source, but a recent tweet from Tate himself and executive vice president of football operations Howie Roseman‘s silence on the matter suggest that Tate will be looking for a new home soon. Tate has indicated he would like to be back in Philly, but given the Eagles’ tight salary cap situation, that could be a tall order, especially if Tate is still seeking a Jarvis Landry-type deal. Cardinals head coach Kliff Kingsbury continues to dismiss the speculation connecting Kyler Murray to Arizona. Many pundits believe Murray would thrive in Kingsbury’s offense, but Kingsbury insists that the team is committed to last year’s first-round pick, Josh Rosen (Twitter link via Darren Urban of AZCardinals.com). Kent Somers of the Arizona Republic tweets that team president Michael Bidwill is also adamant that his club will not pursue Murray (at least not with the No. 1 overall pick). Budda Baker has functioned as the Cardinals‘ slot corner, but new DC Vance Joseph said that Baker will be moved back to his natural safety position in 2019 (Twitter link via Mike Jurecki of AZCardinals.com). Despite the torn ACL that ended Kwon Alexander‘s season in October, Jenna Laine of ESPN.com believes Alexander will cash in, though it may not be with the Buccaneers. Laine says that Tampa Bay was not willing to pay $10MM per year for Alexander even before the ACL tear, though she believes that other teams will be happy to hit that figure. Given that Alexander appears to be progressing well in his recovery, Laine thinks his market will be robust (Twitter links).